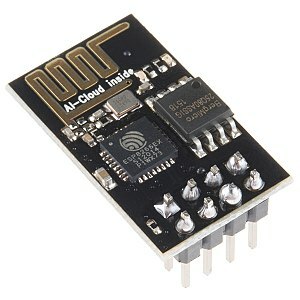 ESP8266 is a WiFi module, means it can connect to WiFi network to send and receive data. It is also a basic part of IoT, which is lower in cost than other development board and module. The module is easy to use with Arduino and other controller, can run with available library. This WiFi module developed based on ESP866 SDK,which has functionality of overall Arduino WiFi library. The module is integrated with SOC with TCP/IP protocol which can access the WiFi and has both Tx and Rx on chip. So, Buy Wifi Module ESP2866 from RoboElements at Low price and make your project connected with WiFi network.